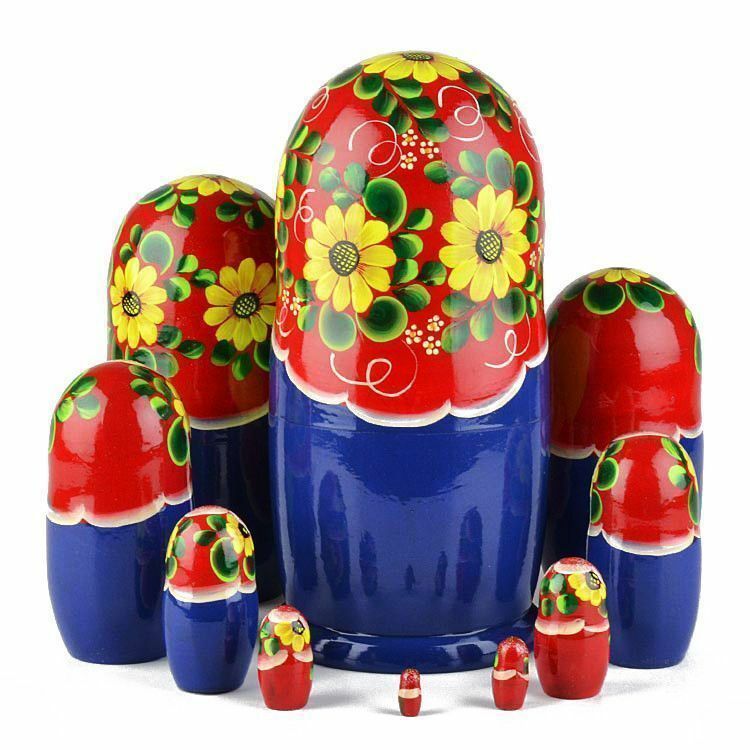 This stunning sunflowers matryoshka features bright yellow flowers with sparkle accents, upon a red and blue background throughout her 10 pc set. 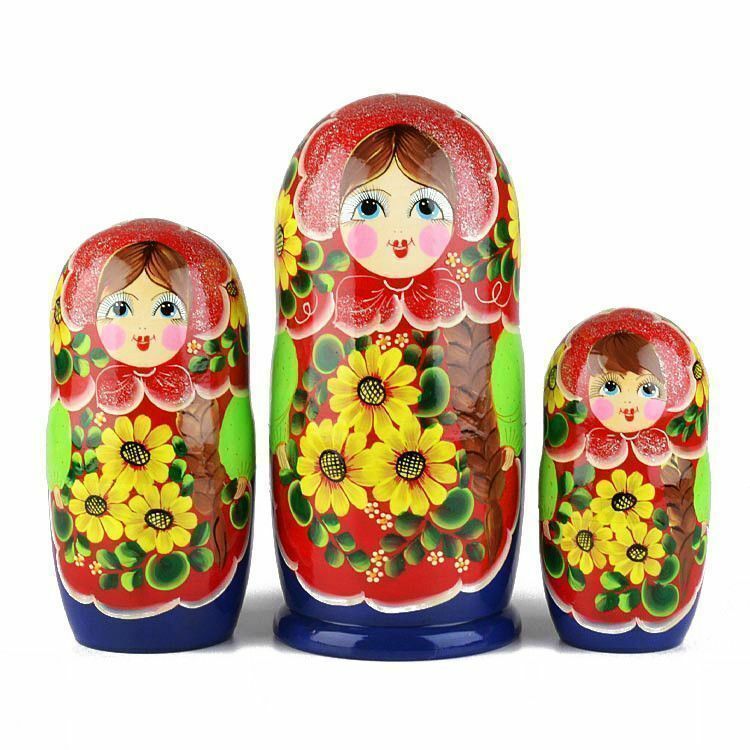 She stands Approximately 10 1/2" tall. 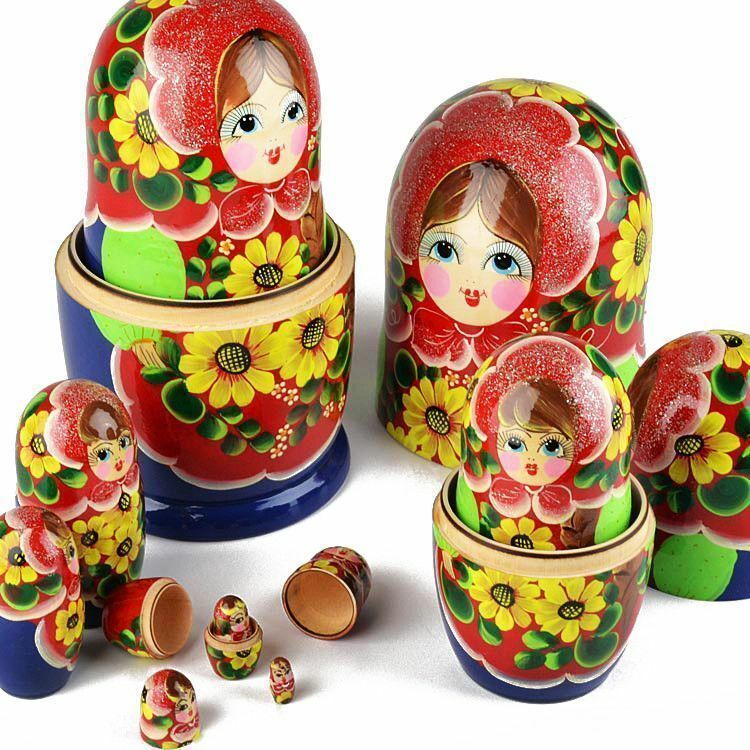 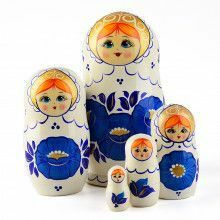 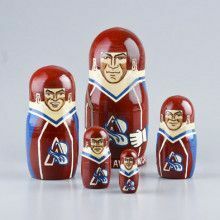 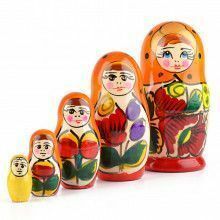 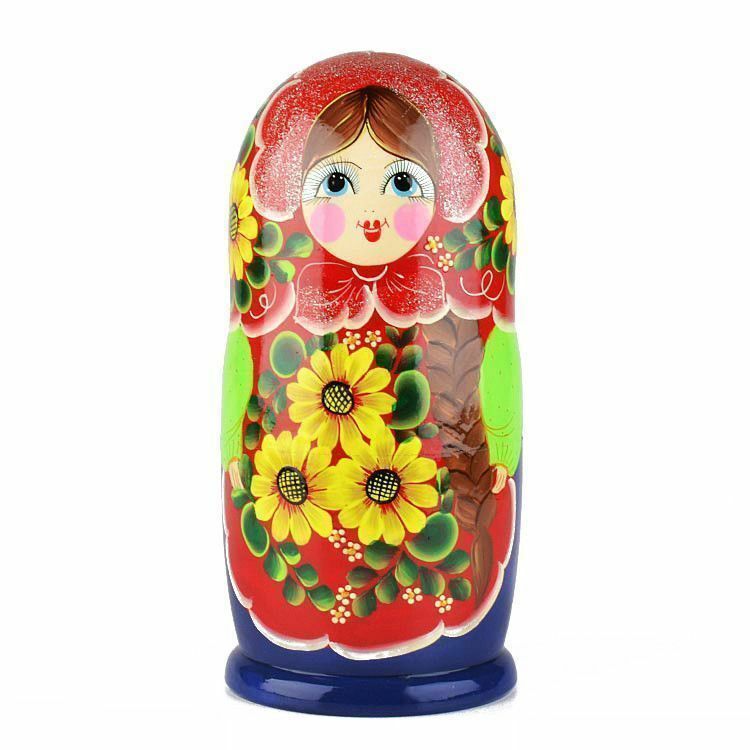 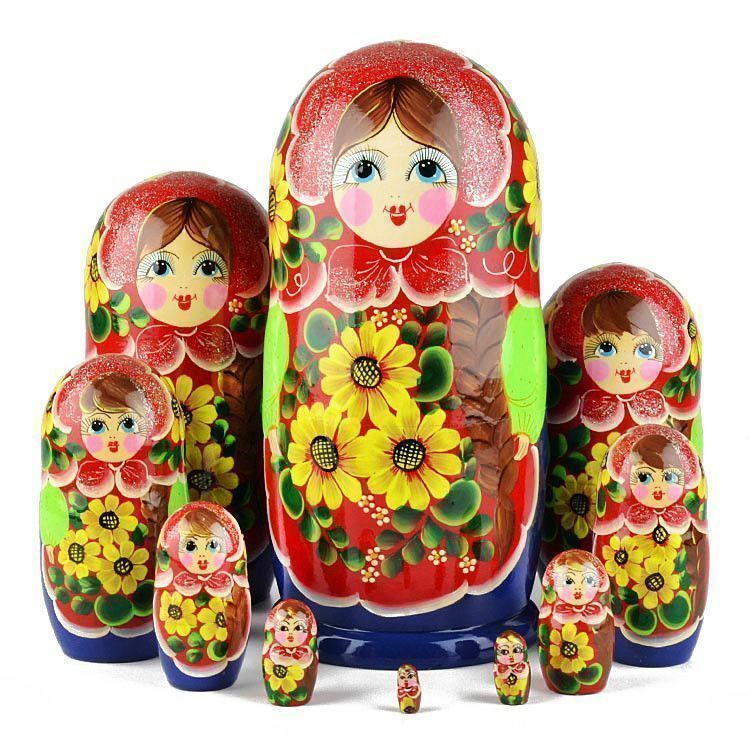 This floral nesting doll was well-made in Russia and it has a gloss finish.